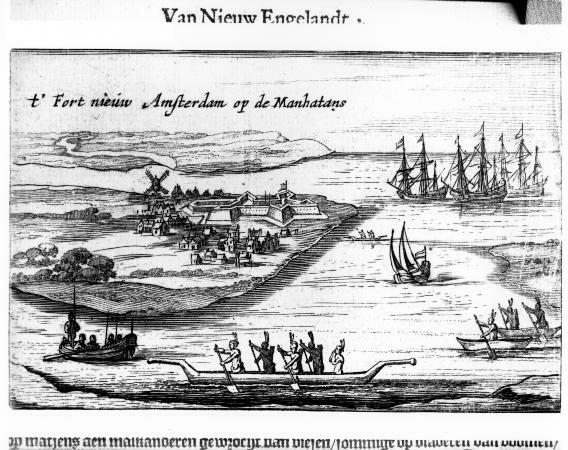 Glass lantern slide showing sketch view of New Amsterdam about 1630. Source: New York State Archives. Education Dept. Division of Visual Instruction. Instructional glass lantern slides, ca. 1856-1939. Series A3045-78, No. 107.